When you’re looking for the right Karate Classes Near Me Keller TX, you may not know what to do or how to go about this process. Are you beginning to feel like you won’t be able to find the right Taekwondo opportunities for your circumstance? Perhaps you don’t know anything about martial arts and you’re hesitant to join a new dojo. Maybe you’re a veteran who’s taken some years off,and you’re prepared to join a place that can help you get back into the swing of things. Regardless of your age or skill level, to we think you’ll be able to find a place here at Tiger-Rock Martial Arts of Keller TX. Do you have some teenagers who just aren’t figuring it out? Maybe you’re having constant problems with them with their scholastic performance. Perhaps on top of this, you’re also having some international issues on your hands. If you’re ready to start dealing with these problems head on, we can help you. Tiger-Rock is always ready to be a part of the solution. 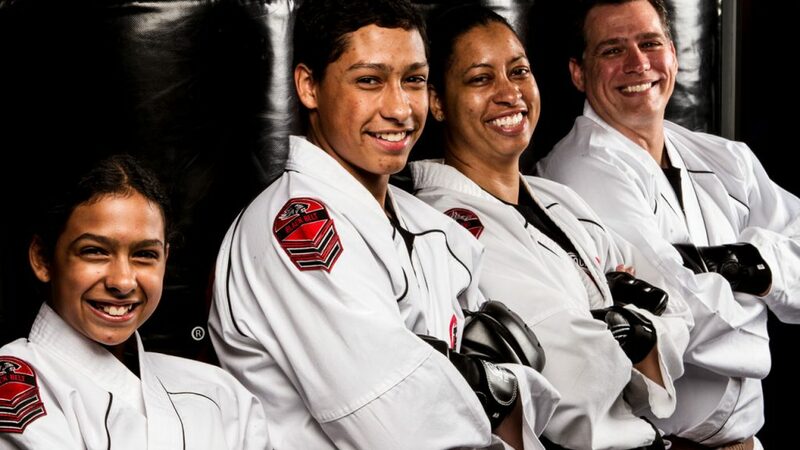 You want to make sure you have access to the best martial arts professionals in Keller TX. Find the right guidance by joining Tiger-Rock Martial Arts. Our adolescent programs are perfect for those wayward teens who just can’t seem to fit in. it’s tough to be a teeanger in today’s society. This is definitely a part of the human life that requires guidance and mentorship. If you’re ready to place your adolescent in the right environment, TRMA is here to help. It takes a village to raise a child in the 21st century. Putting the pieces together can be tough, but there’s a solution out there that’s waiting to be claimed. Start working on your offspring’s difficulties by signing him or her up at our Keller TX karate dojo today. Are you someone who hasn’t had any previous experience in martial arts? Perhaps you’re an adult but this wasn’t something you were able to do as a child. If so, you may feel like it’s too late for you to ever become a Black Belt or really understand what martial arts is all about. While this is a very common thought process, this is simply not true. As long as you have the attitude and the commitment, you can do anything you put your mind to. This includes becoming a martial arts master in Keller TX at a later age in life. If you’re ready to join one of our classes, our instructors can help you. The staff that make up our team have taught students from all walks of life, and his includes all ages. You’re probably trying to learn how you’re going to be able to get better and truly master Korean Taekwondo. If you’re ready to go the distance dn truly finish this process out, our team is behind you every step of the way. Together, we can transform you into a martial arts master and start developing the hidden potential within. Finding a Karate Classes Near Me Keller TX is more than just learning martial arts, though. It’s about learning a new way to protect yourself and your loved ones in case things go awry. Are you ever worried about what you’ll do if something happens during one of your morning ogs? Perhaps you’re concerned about being able to protect yourself in case you run into some impromptu danger. Whatever the case may be, know that our karate classes are specifically engineered for self-defense lessons as well. Our self-defense courses are perfect for someone who’s trying to learn how to defend themselves in hand to hand combat. You never know when someone ight approach you and try to take advantage of your existence. If you’re ready to start developing your skills so you can protect yourself at all times, we’re ready to help. Our team of instructors and certified experts are here to make sure you have the best resources in the world of martial arts. Korean Taekwondo should not be taken lightly, and our staff makes sure you know what’s going on. Make the most out of your potential by joining our TRMA dojo in Keller. Are you trying to make sure you don’t ruin your budget for mots to come? If so, you may be hesitant to join a martial arts class and commit to a long-term contract. If this sounds like your current concern, know that TIger-Rock understands you. We’ve heard the people loud and clear and we are proud to say that we don’t lock our students into long-term commitments. You won’t have to deal with this hanging over your head as you train in our dojos. Check out our local studio to learn more about what type of program we can develop for you. We’ll make sure you hit your martial arts goals and become a better version of yourself. Our Karate Classes Near Me Keller TX offers are some of the best in the entire nation. You want to make sure you pick the right dojo, as this will have a big effect on your pathway towards martial arts mastery. Make sure you make the right decision by joining Tiger-Rock Martial Arts today. Together, we can create a better community and learn the ins and outs of Korean Taekwondo. Call us today for more information on our classes and see where and when you can start your personalized program. Keller is a great city in Texas. This is one of the smaller parts of the state, but Tarrant County is happy to have us. Are you trying to figure out a way to live in a small Texas town that give you big city convenience? If so, join the 40,000+ people who call Keller home. We care about offering you high quality amenities. Are you a fan of high level restaurants and shopping centers? If so, you’ll love living here at Keller. Interested in learning more Karate Classes Near Me Keller TX? Ready to begin your transformation? Choose from one of our 20 locations across Texas to Get Started today.